Hike Caribbean was started early 2018 to offer hiking holidays in the Caribbean islands. Initially covering six islands (Antigua, St Lucia, Guadeloupe, Montser-rat, St Kitts and Nevis) the business was set up by two friends, Aidan McCauley and Rob Davies who both share passion for hiking in the Caribbean. 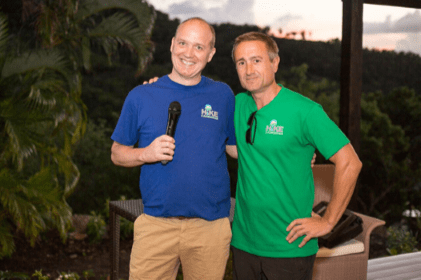 Rob said “we wanted to create memorable hiking holidays for customers in the UK and US and enable them to see a different side to the Caribbean islands”. Rob runs the UK arm of the business on his own and he lacked local support and help in developing the new busi-ness. Having found information about CUE online, Rob was surprised and delighted by the amount and breadth of support on offer for a new business start-up. To Learn more about Hike Caribbean.